◦Under RFC Destination, enter NONE. ◦Under Identify Users and Business partners by, select E-Mail Address if an e-mail address has been defined for the SAP Solution Manager users in transaction SU01. ◦Under Program, uncheck the Test Mode option. 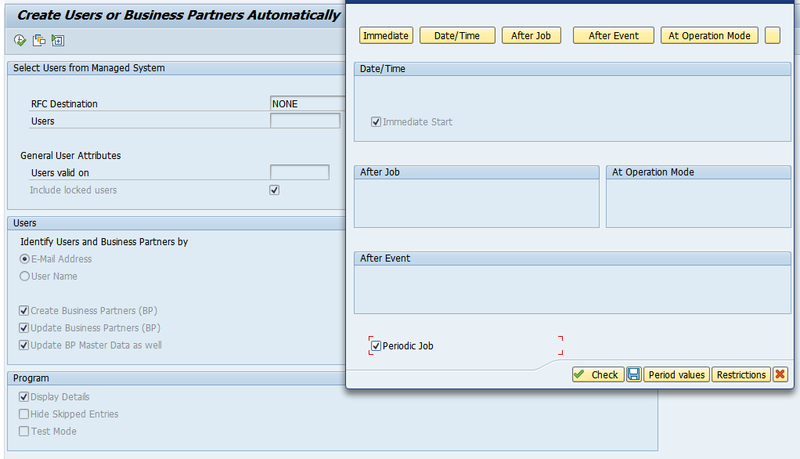 3.Choose Program -> Execute in Background and schedule the job periodically. 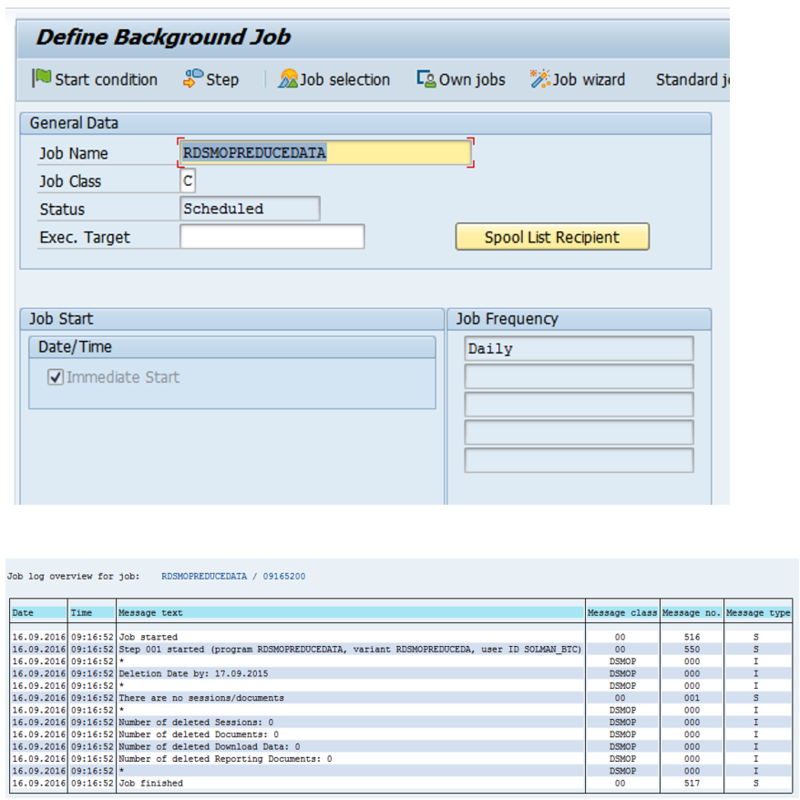 4.Change the user of the background job. The background job is scheduled for your logged in user. 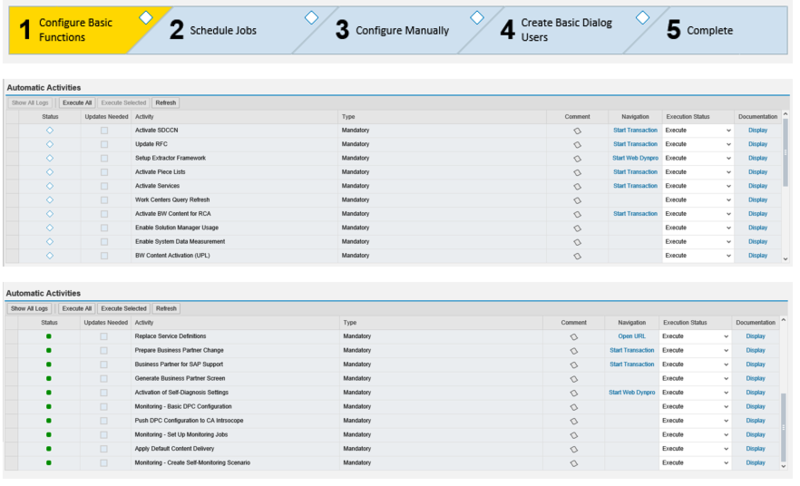 It is strongly recommended to change the user for the scheduled job to the SOLMAN_BTC user which has been defined under SAP Solution Manager Configuration > System Preparation > Maintain Technical Users. You can do this in transaction SM37. 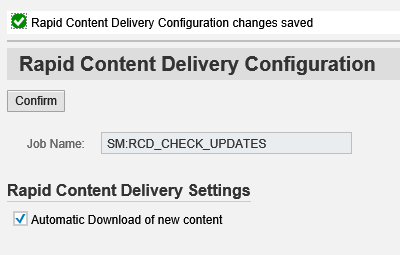 1.Start the Configuration for Rapid Content Delivery activity. 2.Select the Automatic Download of new content checkbox. 3.Choose Confirm to save the changes. For more information, see SAP Note 1911102. What are the recommended jobs in schedule Job and must be running. 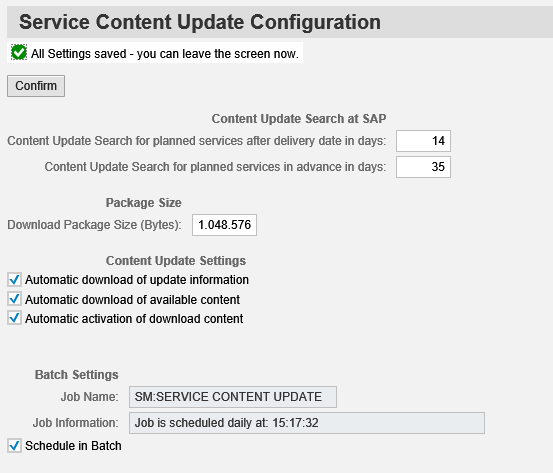 Can we schedule the jobs directly from SOLMAN_SETUP with user SOLMAN_ADMIN? (or) Below should be followed. You have created a user to schedule jobs for background processing. For more information, see USER_SOLMAN_BTC. SOLMAN_BTC is already exist in system. 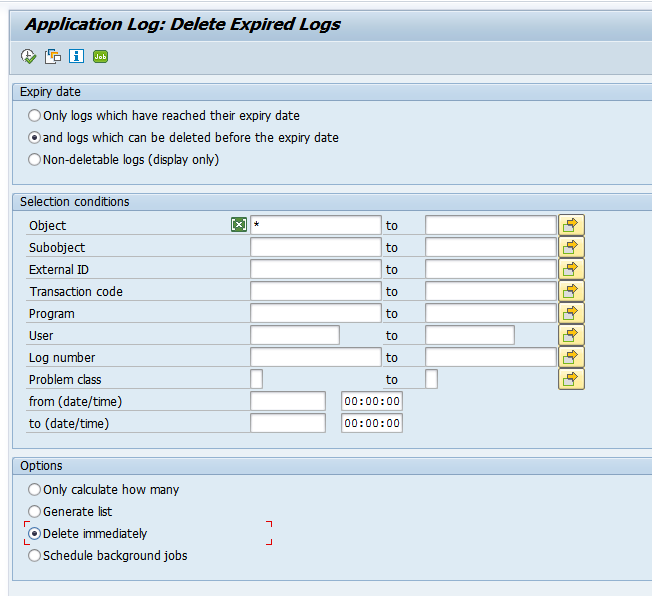 If we schedule the planned jobs from SOLMAN_SEUP , Can they get scheduled with SOLMAN_BTC automatically ?..I did the same..but they are scheduled with SOLMAN_ADMIN..now how to correct them? The system data uploading is not performed due to the global setting. Do I need some thing more? 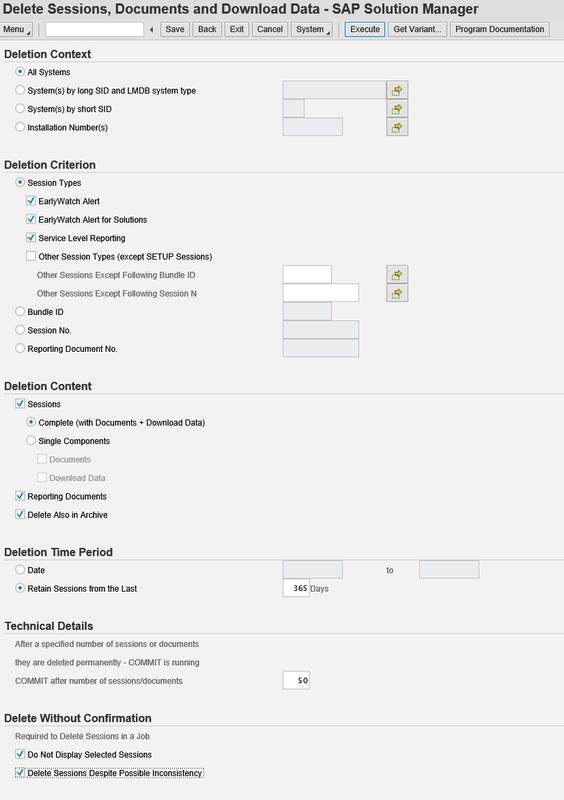 Assign roles as per SAP note. You was correct, After i had change the IT Admin Role to Production system , it’s works fine. My sincere and deepest thank-you for these most excellent, thorough, easy to follow, 12 part, step by step, configuration instructions. You have helped me get a new Solution Manager 7.2 installation up and running in record time and for that, I am eternally grateful. “Thank-you” seems far too small a phrase to express how much you have helped me but it is all that I can say. it’s very helpful for me to do configuration setup after installation of solution manager 7.2 SR1.